When it comes to managing projects, nothing is better than water-tight communication and organization. Of course, even the most seasoned project managers and their teams need a few tools to make life easier. So, in the spirit of shortcuts, I’ve gathered a quick list of our tools for project management that our Alexandria-based agency swears by. Get your stuff straightened out with these 4 handy tools for project management! Tracking time is HUGE at WDG. From the moment I step into the office and start my workday, Toggl is on. Why is this important? When working with clients, it’s crucial to demonstrate where you are spending your hours. With Toggl, you can organize entries by project, tag, and client. You can enter detailed descriptions, showing the client what you did and how much time it took. Email’s great, but it can be tricky to organize all those back and forth messages between you and your client. And nothing is worse than digging through mountains of emails just to find one lousy item. Make your life easier! 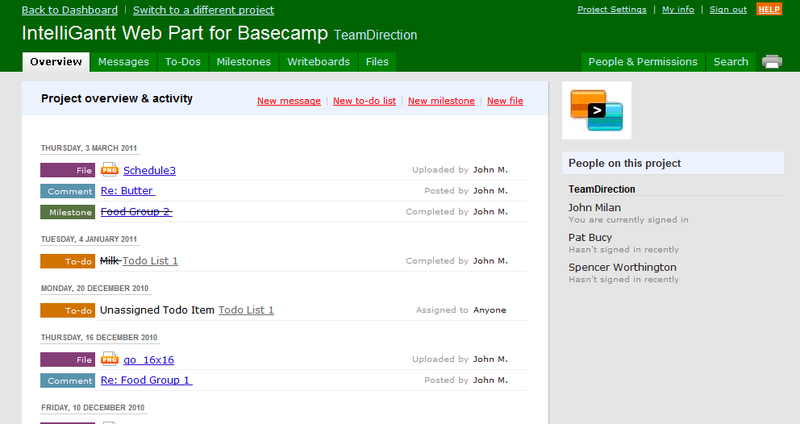 At WDG, we use Basecamp as our central hub for client communication. But it also has these great features like to-do lists and calendars that help you stay on top of your milestones. Stop wasting your time searching for emails; get Basecamp! Similar to Basecamp, Asana is another communication and task management tool. We like to use Asana for internal projects and reminders. Need to assign tasks to teammates? Give them due dates? Make comments or add attachments? Asana is a really great option for keeping your own team on schedule. One feature I really like? 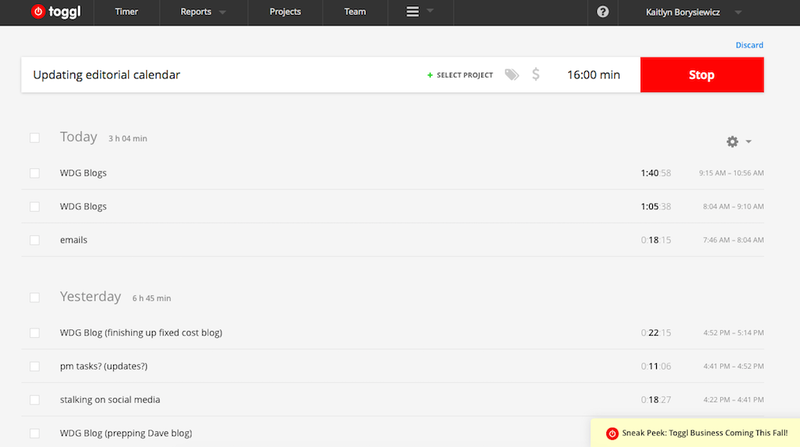 Being able to drag and drop tasks within a project makes it easy to to visibly see where your project is at. For you organizational freaks (or for you who don’t have…amazing…organizational skills), Trello will be your new best friend. It’s super straightforward, too. You get boards, you create lists within those boards, you create cards with notes to order your tasks. 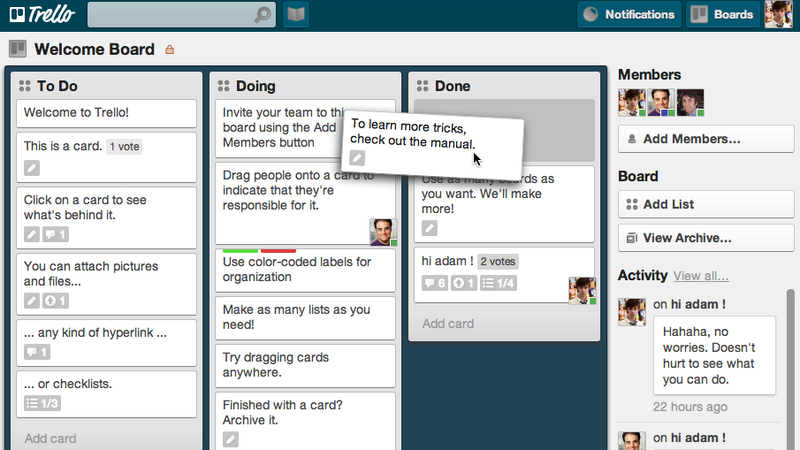 Trello’s card-based design makes it really simple to understand your project in a visual way. Although, admittedly, I would use it for more broad projects than one with lots of different specifics. Everyone needs a little help once and a while to stay organized. At WDG, we take seamless client communication really seriously. We work with you every step of the way to deliver you awesome digital solutions. Have more questions about how WDG keeps our ducks in order? Want to learn more about starting a project? Just drop us a line or visit as at our Old Town Alexandria shop—we’d love to hear from you.